The Capacity Building Center for Tribes assists Title IV-B funded tribal child welfare agencies build staff capacity, strengthen organizational systems, enhance programs, and improve tribal-state working relations. The Capacity Building Center for Tribes is a partnership of four organizations that collectively have more than 90 years of experience working with tribal and state partners designing, delivering and evaluating Capacity Building services in Indian Country. Recognizing and respecting the inherent sovereign authority of American Indian/Alaska Native nations to govern, control, design, and improve their governmental institutions to support their children, families, and communities. Acknowledging that empowerment and solutions come from within Tribal communities as they build upon their strengths. Approaching our work with honor, respect, and mutual learning, and by observing Tribal customs, traditions, and protocols. Providing capacity-building assistance to support American Indian/Alaska Native nations (our primary constituents) in reaching their strategic child welfare-related goals. Recognizing the government-to-government relationships between Tribal, Federal, and State governments, and that Tribes are full partners in the design and implementation of programs administered by States with funding from the U.S. Department of Health and Human Services. The Capacity Building Center for Tribes’ partners with an amazing team of American Indian/Alaska Native/Indigenous child welfare professionals from across Indian Country to create resources and tools for tribal communities to help them grow their capacity. Thank you to: Elsie Boudreau (Yup’ik), Lorraine Brave (Mohawk), Priscilla Day (Anishinabe), Lucille Echohawk (Pawnee), Emily Iron Cloud-Koenen (Oglala Lakota), Ethleen Iron Cloud-Two Dogs (Oglala Lakota), Patty Laplant (Blackfeet), Margaret Orrantia (Yaqui), Paulette Running Wolf (Blackfeet), Richard Two Dogs (Oglala Lakota), and Sandy WhiteHawk (Sicangu Lakota). 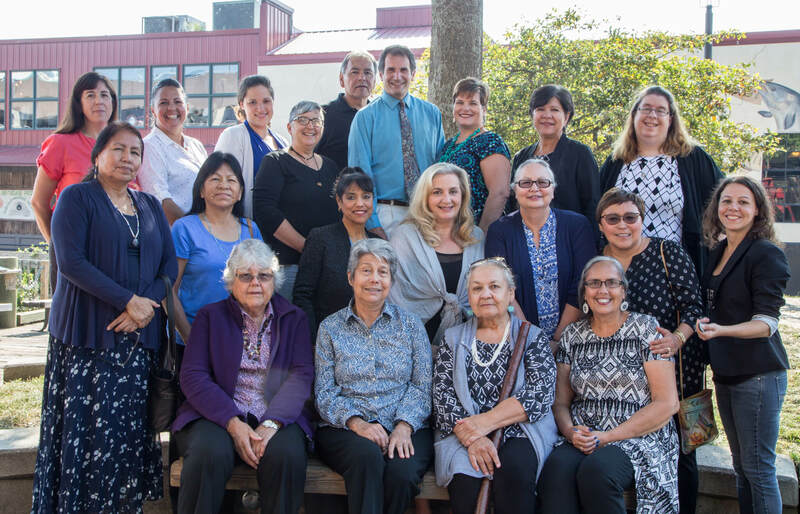 The Capacity Building Center for Tribes’ National Advisory Committee is a collaborative and cross-systems group that informs the Center’s work. The Committee’s role is to offer cultural perspective and expert guidance on program development and implementation activities related to tribal child welfare practice, systems development, capacity building, and implementation. Members represent diverse tribal and geographical locales and bring knowledge about interdisciplinary areas, such as: mental health, substance abuse, trauma-informed practice, LGBTQ/Two Spirit issues, and legal and judicial systems, and they represent the unique interests of tribal families, youth, and communities. Most importantly, the Committee members offer their wisdom and guidance for ensuring that all aspects of Center’s work reflect our principles and values. Thank you to: Judge Abby Abinanti, Denise Altvater, Dee Bigfoot, Richard Blake, Elsie Boudreau, Hon. Kevin Briscoe, Daryle Conquering Bear, Priscilla Day, Lucille Echohawk, Anita Fineday, Lenny Hayes, Ethleen Iron Cloud-Two Dogs, Tracy “Ching” King, Tom Lidot, Almira Madison, Margaret Orrantia, Edward Reina, Mary Tenorio, Virginia Thomas, Judge William Thorne, Jr., Richard Two Dogs, Sandy Whitehawk, and Geri Wisner. The Children’s Bureau, within the U.S. Department of Health and Human Services, funds the Capacity Building Center for Tribes (CBCT). The CBCT is one of three centers in the Child Welfare Capacity Building Collaborative. The Collaborative is designed to help public child welfare agencies, Tribes, and courts enhance and mobilize the human and organizational assets necessary to meet Federal standards and requirements; improve child welfare practice and administration; and achieve safety, permanency, and well-being outcomes for children, youth, and families.